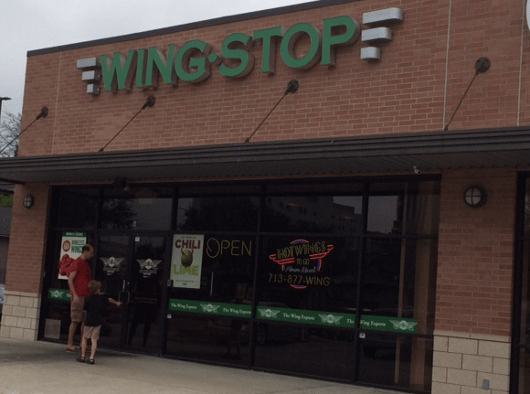 Home»All»Wing Stop – Our Search for Houston’s Best Restaurants for Kids! If you are like us, this is quite a challenge to get back to our routine after Spring Break so we might have an option for you for dinner: Wing Stop. They advertised to us their new chicken wings with a chili lime sauce and so we went to their location on Richmond (right after Weslayan). Chicken wings are real American comfort food and they are part of our culinary history and, of course, they are also a bit mysterious about their origin. I found out that they were made, like most great recipe, by accident when an order of chicken wings came by mistake to a restaurant in Buffalo, NY. They cooked them, added blue cheese sauce and celery and the rest is history! There are other versions but I like this one. Before I go on I have a bit of trivia for you: when is National Wing Day? See below for the answer! 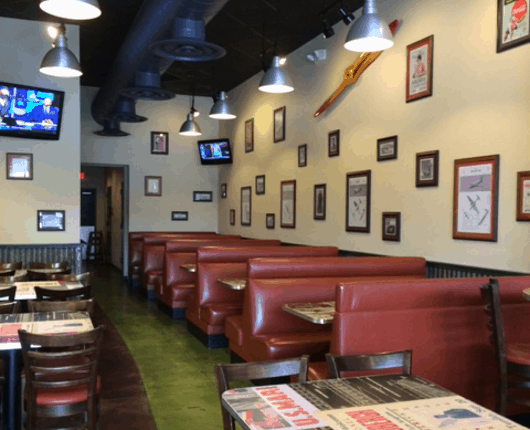 Wing Stop looks clean and modern, it has nice comfy booths and fun pictures of planes on the wall. 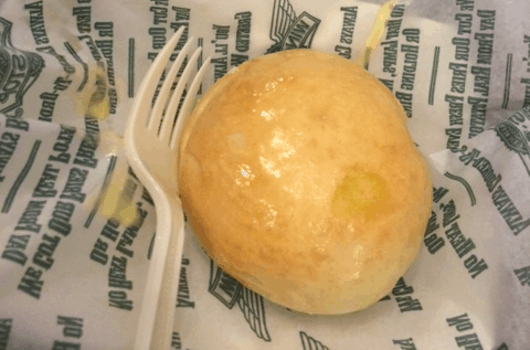 Wing Stop cooks to order and prides itself on the quality of their products. They offer 10 different sauces from very very spicy to mild. The cook was very nice and let us try their chili-lime sauce before we ordered and I am glad he did since it was really spicy – for me and my husband who is more heat-tolerant! So instead of chili-lime, we tried these sauces for you (from mild to spicy): teriyaki, garlic Parmesan, Louisiana rub and their original. I was really happy with the wings and I love that you can choose boneless, especially for the kiddos! One bonus is that you eat them with your fingers, that’s how my son prefers it! We ordered their seasoned fries and a yeast roll for our son. The roll was just out of the oven and covered in butter and was a huge hit for him! 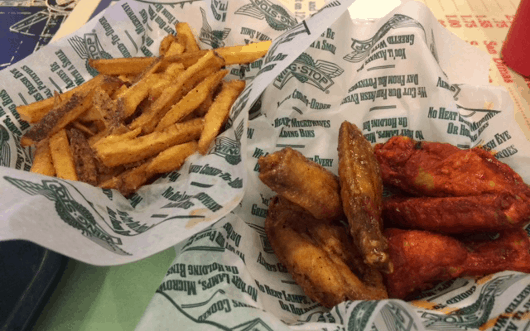 Wing Stop also delivers and that is a great way to enjoy their menu, taking advantage of spring weather outside and relaxing in the backyard.